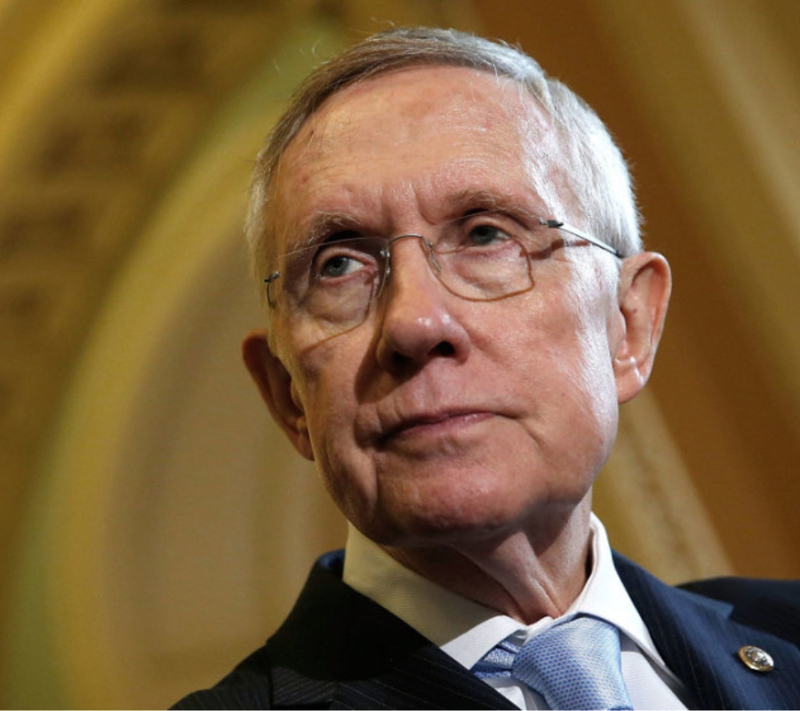 Senate Minority Leader Harry Reid offered Friday his first public comments after Republican Donald Trump was elected as the 45th president of the United States. He expressed how much he disagrees with the businessman’s racist, misogynistic speech as he defended vulnerable groups who are now living with fear of their own government. Mr. Reid called Trump a “sexual predator” whose campaign was fueled by hate and pointed out that he lost the popular vote. He said America was not defined by white nationalists who celebrated while vulnerable Americans cried out of fear of what might happen to them under the Trump administration. The fear they feel is absolutely rational and legitimate, Mr. Reid emphasized. The Nevada Democrat said he has felt the tears and fear some minorities have expressed at the election outcome. He said Vladimir Putin and the Islamic State were celebrating Trump’s victory while African Americans, Hispanic Americans, Muslim Americans, LGBT Americans and Asian Americans were expressing their fear when they thought about their near future in the country. The veteran senator concluded that Trump has a lot of work to do if he really wants to roll back the tide of bigotry and hate he freely unleashed throughout his presidential campaign and recommended him to begin right away. Mr. Reid has been an outspoken critic of the President-elect and his speech continues to be loud and clear unlike that of most Democratic leaders who have followed Hillary Clinton’s example by trying to offer a conciliatory note after Election Day. Fortunately for him, he will not have to work with Trump because he is retiring in January. He worked hard during the campaign in Nevada to warrant Clinton’s victory in the state, as well as the victory of Democrat Catherine Cortez Masto, who would succeed Mr. Reid. The President-elect made an effort to deliver a message of a peaceful transition of power when he met Thursday with President Barack Obama and congressional leaders at the White House. It seems like his advisors decided it was time for him to change his hateful speech for a while. After protestors took the streets in several cities to express they did not recognize the businessman as their president, he started saying the protests were unfair but he changed the route of his speech by noting he actually loved the “passion” those groups had for America, as he wrote on Twitter Friday morning. “We will all come together and be proud!” he added.